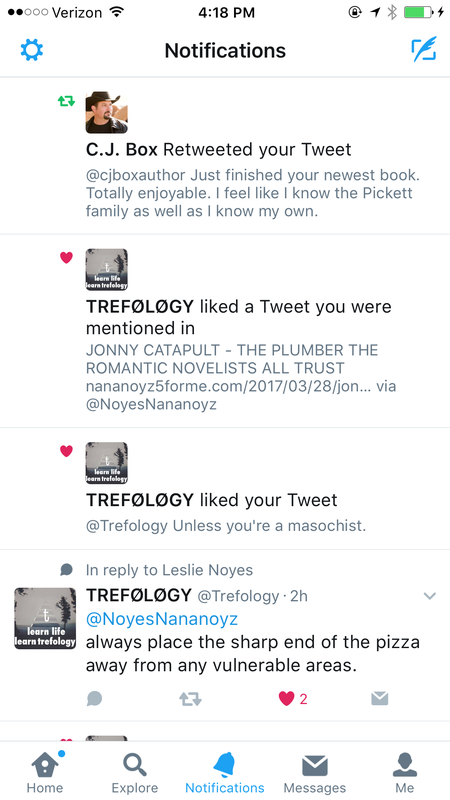 When one of your favorite authors corresponds with you on Twitter. Eeee!!!! Like many of the bloggers on WordPress I automatically share my posts on social media sites such as Facebook and Twitter. 98% of the time it’s a smooth process and my posts magically appear in the Twitterverse, but occasionally there’s a glitch requiring a reset. It’s usually a quick fix and the mundane aspects of my life are once again available for folks to like, comment on, or best of all, retweet. This past week while I was battling diverticulitis I noticed that Twitter wanted me to change my password. Apparently they’d had an issue with an entity gaining access to their passwords. Well, I’m not the most tech savvy person in the world, and I couldn’t quite figure out how to change the password, so I thought I’d log out and log back in. Seemed simple enough. Except that Twitter wouldn’t allow me to merely sign back in, forcing me to create a new account. And now, I can’t get WordPress to let go of the old Twitter account so that I can share my posts on the new account. I mean I realize there are bigger issues at hand in the world right now, but this is annoying. I must be feeling better if I have the energy to be bugged by this. If any friends have suggestions I’m game, just remember to type really slowly so I can understand. Not too long ago I contacted Twitter in regard to what I felt was an overt threat. “We know where to find you, and we are armed,” the tweet read. Twitter decided this was no cause for concern. What say you, friends? Our cats never, and I mean NEVER, come this close to snuggling. I guess the early morning snow in Tallahassee, or perhaps the “My button is bigger than your button” tweet from trump to Kim Jung Un, has them believing it’s the end of the world as we know it. On the plus side, in either case, I don’t have to make my bed. 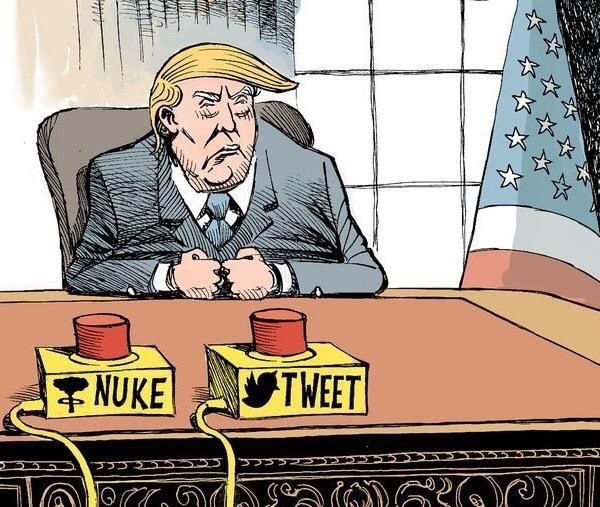 And I think we all know trump’s button isn’t bigger than anyone’s. Author nananoyzPosted on January 3, 2018 Categories CommentaryTags blog, blogging, cats, humor, Kim Jong Un, North Korea, politics, trump, Twitter3 Comments on Sign of the Apocalypse? Picked up a new Twitter Follower…. Really thought I was following Him and not the other way around. 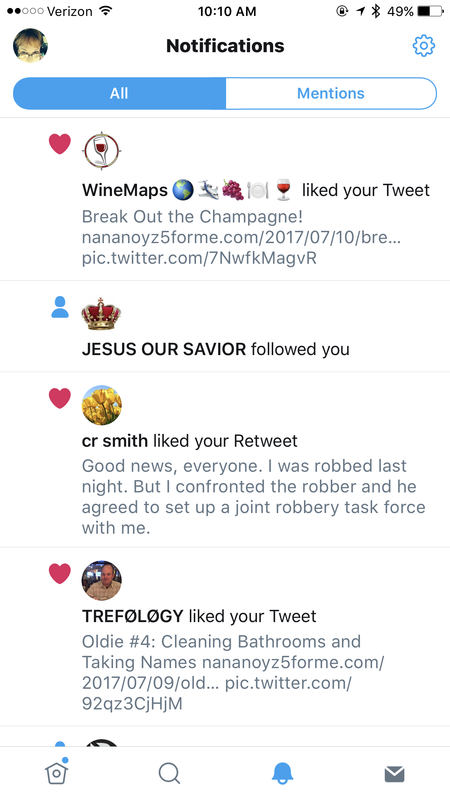 Author nananoyzPosted on July 10, 2017 Categories CommentaryTags blog, blogging, humor, Jesus, Twitter22 Comments on Picked up a new Twitter Follower…. I posted my first piece on July 10, 2014, and voila! 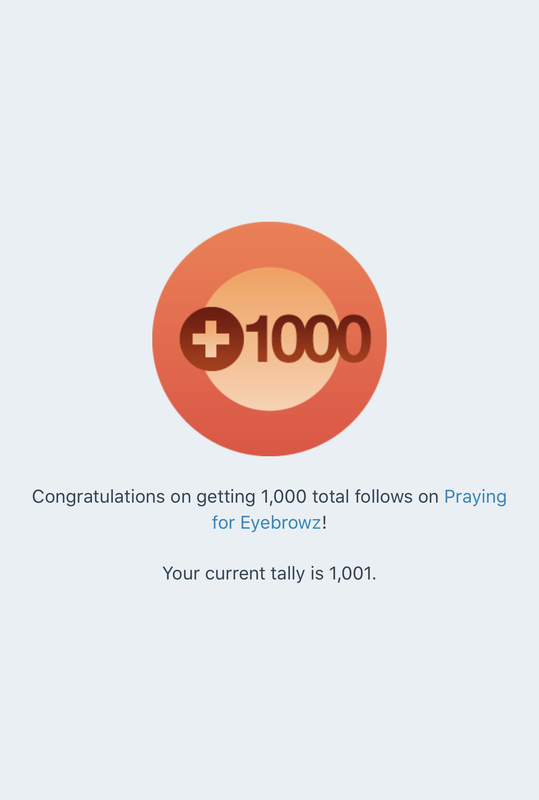 It only took me nearly three years to reach the 1,000 follower mark. Oh, and if you add in my follower numbers from Facebook (468), Tumblr (78), and Twitter (237), it’s still fairly dismal, especially considering that many of those are folks who follow me on more than one platform. So there you go! And if you’re a follower, thanks for being here! I love each and every one of you. Yes, even you. Author nananoyzPosted on May 29, 2017 May 29, 2017 Categories CommentaryTags blog, Facebook, followers, Studly Doright, Tumblr, Twitter, Wordpress25 Comments on Took Me Long Enough! Mistake me for a reasonable person. I’m too angry, too burned by the lies you’ve told carelessly. 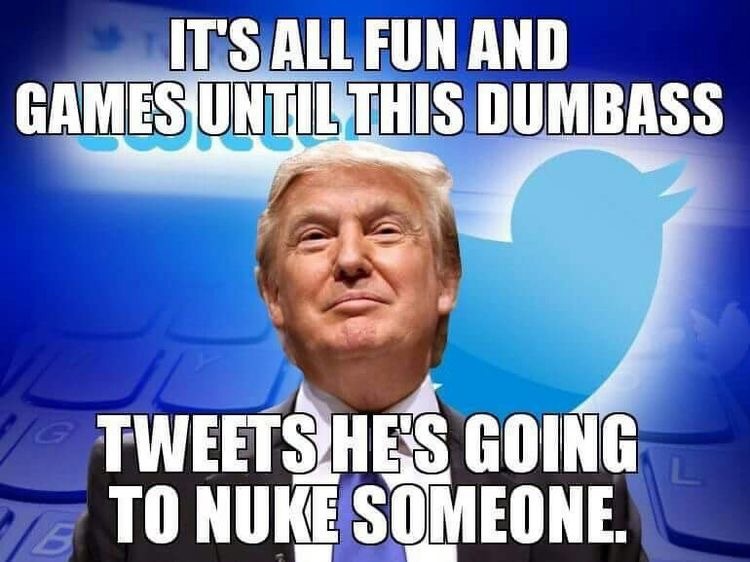 Author nananoyzPosted on January 10, 2017 Categories UncategorizedTags blog, blogging, nuclear war, trump, Twitter8 Comments on Do You Fear What I Fear?